Remember me? It’s been almost 8 months since I last posted anything on my blog. Time that has been swallowed by so many things. 2017 was not an easy year for me. It was difficult, and life was so busy. Exceptionally busy. I have a very matter of fact way of dealing with life that seems to work for me – I go into my head, work things out and come out when I’m ready – inviting a few people into my head along the way. Balance is something that I strive for on a daily basis, and can be oh-so hard to find, but I know quickly when something has to give and I don’t tend to fight it. Back to 2017. My dad passed away at the beginning of 2016, and after dealing with the initial shock of everything – then came the reality, which came a lot later for me. The reality of seeing my mum open her Christmas presents without him, the reality of watching her go on holiday with family and friends, rather than my dad, the reality of going home and him not being there. I used to avoid going home – the thought of it was just too painful. It has taken some getting used to, but I still feel it every single time. It has started to feel more normal, but it just feels like such a long time since I last saw him now. Too long. There are so many questions that I want to ask him, and selfishly, the reality of sharing one (albeit amazing) parent with ten siblings, five in-laws and twelve nieces and nephews, is different. It has to be, yet my mum still manages to fit me into her life – every so often she brings me lunch on her way somewhere, pops by just at school pick up time so I don’t have to trek with them all, or joins me for playgroup. I appreciate these things even more, because she is unimaginably busy. I feel so thankful to have someone that roots for me as much as she does. I am always in her mind somewhere, and she makes sure that I know that. In August, a young man we knew well committed suicide. It was a huge shock and really took some time to process. It will affect a lot of people deeply for the rest of their lives. A boy that had babysat for us, ate in our home and spent time with us. It was so unexpected, so tragic and something that I never thought I would ever be acquainted with. I still have trouble believing it. In September, I had a miscarriage. Although it wasn’t a surprise for lots of reasons, the whole ordeal was a disaster from start to finish – Jared was working away, and I couldn’t get hold of my mum. The physical effects were far worse than I expected and the bleeding just went on and on and on, for weeks. Ten in total. I was advised that the bleeding would be heavy, but it was more like my whole uterus falling out for the first couple of weeks, which zapped all of my energy (think crawling around the house), making it difficult to go anywhere. My hormones were a complete roller coaster – something that I’ve never experienced before. Not feeling myself made me feel really uneasy, very on edge and I’d find myself saying things that just weren’t me. It was a real learning experience for me, and far worse than I expected. I feel very at peace about it, but wouldn’t wish one upon anyone. In November, we moved house. After first viewing the house back in May, it was a very long, drawn out, stressful experience. It was off, it was on, back off, back on, totally off and then totally back on. Even the move itself was so last minute. Thursday at 2pm the move was absolutely not going ahead, but an hour later it was going ahead the next day. I don’t like games, I don’t like not knowing and it has totally put me off moving for the foreseeable future (but not forever!) – even though I know that our experience was probably abnormal. We weren’t planning on renovating so quickly, but all the workmen we contacted seemed to have a gap. We’ve had builders in, electricians, plumbers, plasterers, gas engineers and brick layers, which thankfully we have all been so happy with – it’s just meant a lot of upheaval, and not knowing where things are has been tricky. The boys are totally oblivious, but day to day life has been very hard work…and still is, along with all of our other commitments. There were also a few other things thrown in along the way in 2017, and it can be really hard to buoy up your partner when they need it, especially when you’re not feeling the best. There have been many weeks where we have been like passing ships – chatting over DIY, trying to have big conversations when the kids are in the car, or texting during the day, just to catch up. We booked a last minute holiday and went away to Egypt in January. For me, it felt like such a relief to book it, to admit to ourselves that we needed to get away. It felt absolutely necessary, and the added bonus was that the WiFi was terrible, so Jared couldn’t do any work – something I was secretly very happy about. On a real positive note, Jared’s business is going really well. I feel so proud of him, and what he has achieved. It is busy, and so personal for us both. I worry about it, he worries about it and most often it has to come before everything else. When I gave birth to Winston, we set (what seemed) a very far out goal that Jared would take Winston to school whenever he could. I didn’t really imagine that it would become a reality, but it has. At the end of last year Jared put a job advertisement out for a part time employee, and we’re hoping that she will take some strain off our family life (the poor lady has no idea how much hope I have pinned on her, and so far, she is wonderful). I spent a long time sifting through the applications, trying to put a shortlist together for interviews. I feel like this is such a huge achievement for him, and us. It feels big, and I wanted to mention it in celebration. I’ve felt in awe of him so many times over the last few months. Something else we have decided is that we are going to book Otto into nursery for two days a week from September. I’ve had two (or three) children at home with me for the most part of 4 years, and self care over the last year in particular has been at an all time low. I haven’t had time to look after myself properly, and as a result I’ve put on quite a lot of weight. Otto’s easy going and confident personality has made this decision a particularly easy one. I decided a while ago that I would be updating the name of my blog to ‘Loved by Esther’. It feels more relevant, and makes complete sense. This space is, (and always has been) a place for people, places and anything else that I love, so I wanted to reflect that. I have placed no expectations on how often I will be posting – life will always come first, but expect to find interiors to feature heavily as we continue the steep renovation learning curve (as seen on Instagram). I’d also like to write more about travel. We are pretty unfazed when taking our boys away, and I naively assumed everyone was like this. I’ve realised a lot of parents feel nervous taking their children abroad, and I want to help them realise that it can be easy, and enjoyable for everyone. Lots of people already know that we are expecting baby number four, which probably seems a little crazy considering the above. We both feel strongly that we are meant to have four children and feel keen to meet all the members of our family. I struggle with pregnancy within myself, and neither of us wanted to wait any longer. 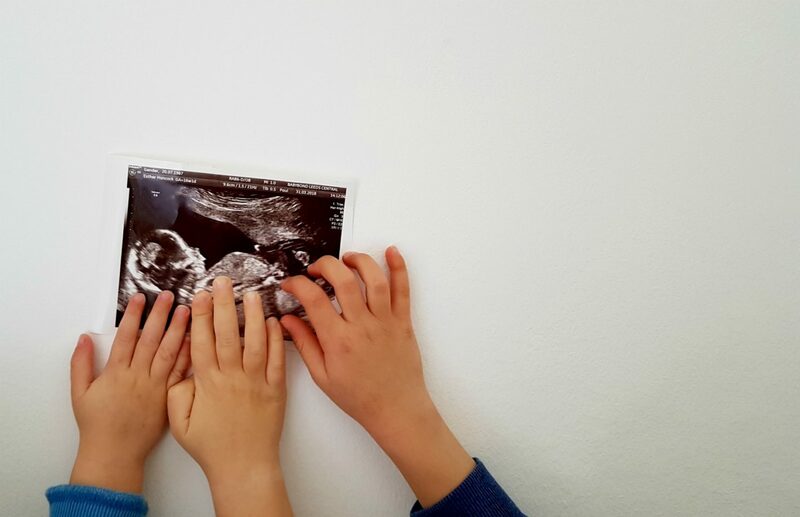 Our baby is due mid-September and lots will have changed by then – Ru will be starting school, Otto will be settled into nursery (and potty trained! ), our house will be well on its way (one can hope) and Jared’s work should have calmed down (again, one can hope). Last year was last year, and this year is this year…and I’m really hoping for some calm amongst the chaos. Wow Esther. So sorry to hear you’ve been through so much. Congratulations on your pregnancy, I hope you are feeling well with it. I’m so glad you’ve decided to start blogging again, I’ve really missed reading your posts.